All in a Day is a catchy new track from DT the Artist, out of Toronto, Canada. 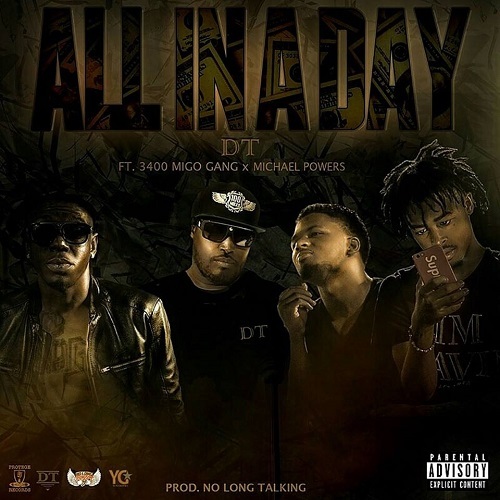 The Single is produced by No Long Talking (Toronto) with the hook by Michael Powers, and featuring “Pedro” and “LV” of 3400 Migo Gang out of Atlanta. The track is Executive Produced by DT for his company Protege Records.